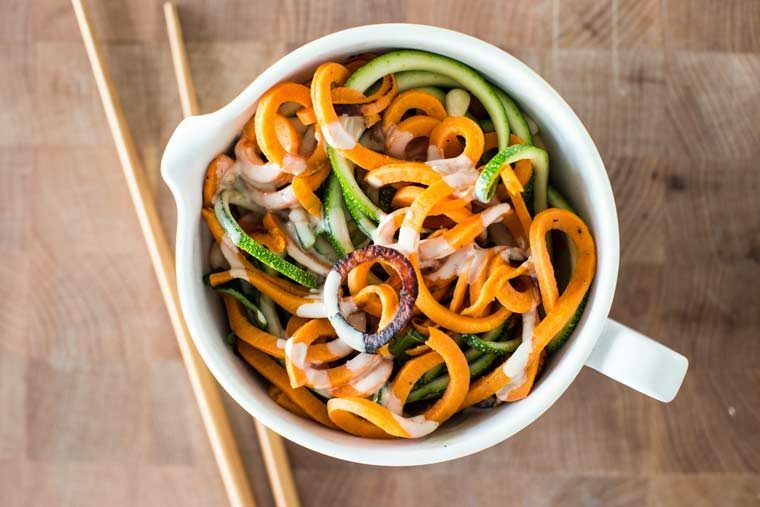 If your only kitchen tools are a wok and a spiralizer, you could make this recipe. One of you readers out there knows what im talking about. 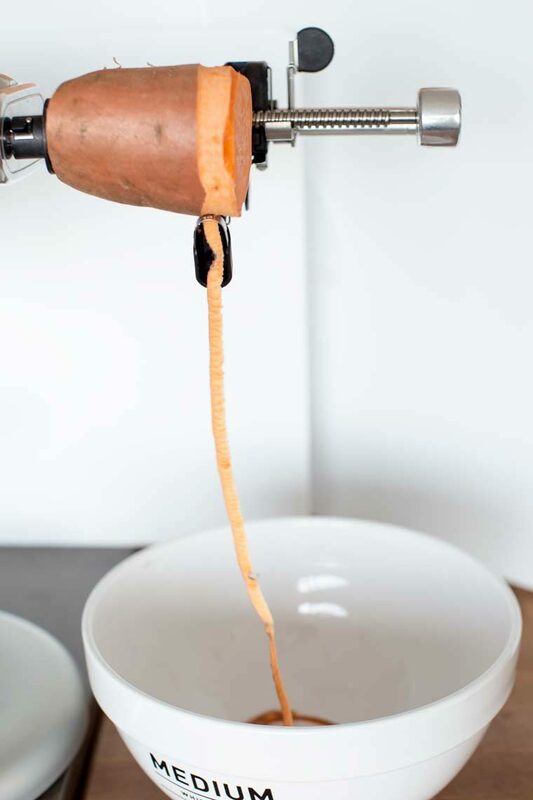 To fill the rest of you in, one of my best friends and most willing guinea pigs recently revealed that the only kitchen tools in her possession are a wok and a spiralizer (the latter logically kept under her desk at work). I think this might be the strangest, most hilariously random combo ever. I also quite surprising because I aaactually did not picture her having any cooking equipment at all given that a) she doesn’t cook and b) despite her fabulous east vill studio having a fireplace and chandelier, the kitchen has no oven and is practically in the bathroom (looooove you Sa, um i mean, anonymous friend!*). 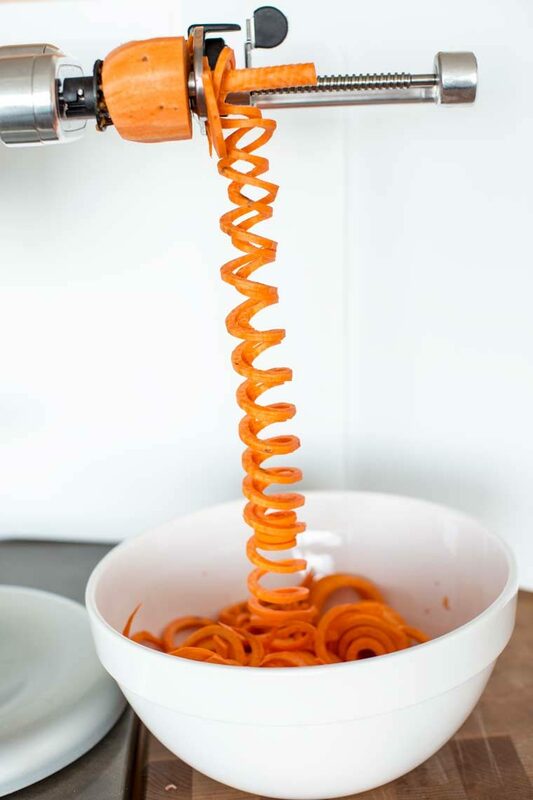 Peel and spiralize your vegetables - the noodles can get crazy long so I sometimes break them up as they are falling into the bowl but this is not necessary. 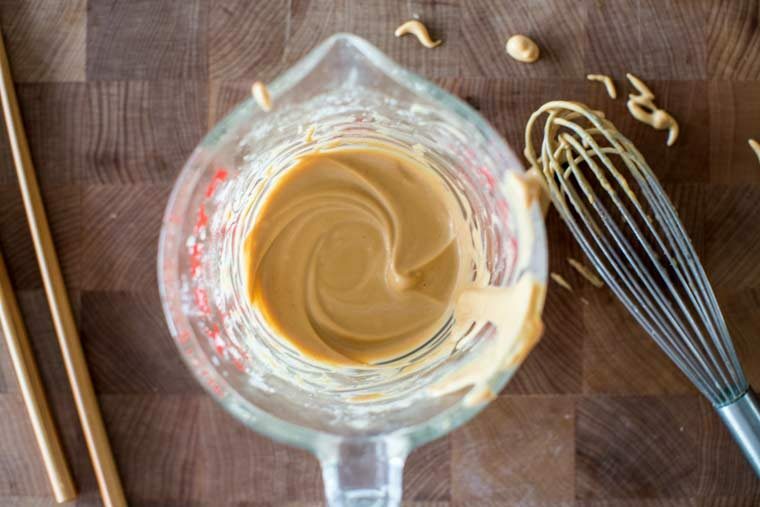 In a small bowl, whisk together the sesame dressing ingredients - you can add a splash of water if it seems too thick (this just depends on the kind of peanut butter you use). Heat up a few tablespoons of toasted sesame oil in a large saute pan (or wok) and when you see a few whisps of smoke just starting to appear, add the sweet potatoes. Season with salt, cover and let cook 2-3 minutes. Now add the zucchini, season with salt and toss everything together. Cover and cook another 2-3 minutes. Remove the lid and start checking for doneness - you want the noodles to be tender but not mush. You can absolutely use pasta or do a combo of veggies, its really all about the sauce in my opinion.